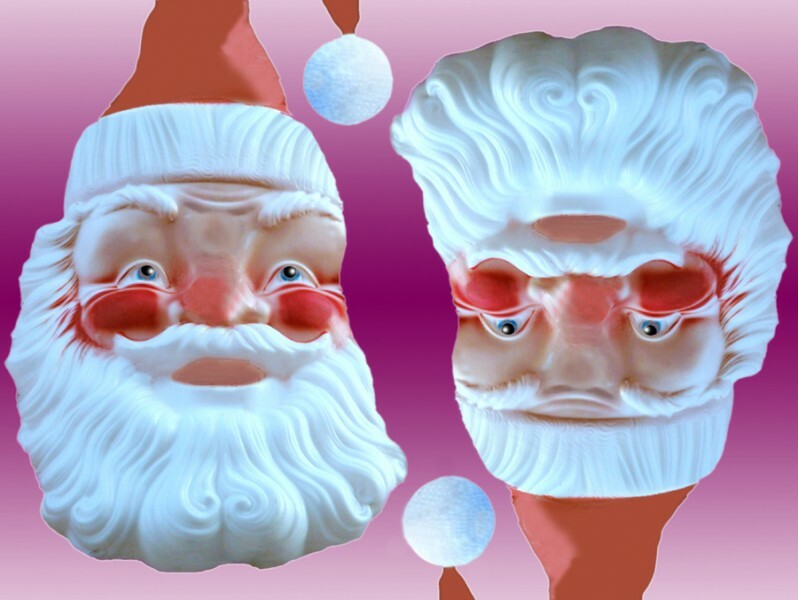 Here’s a rotating head illusion for Christmas. I’ve been giving talks about Christmas imagery, and sometimes use old fashioned transparencies. Recently I glanced at my slide of Santa upside down, and there was the face of the great Norwegian playwrite of a century ago, Henrik Ibsen. It’s an illusion in the tradition of the one I posted earlier, about two characters called Mr. and Mrs. Turner. (That post includes an animation). There are lots of other pictures of rotating heads by nineteenth century illusion artists.